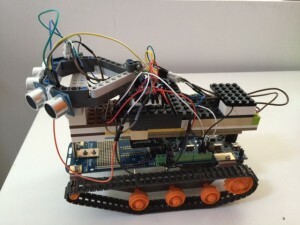 In this post I explain step by step how I build an Arduino based Robot. This can be a handy if you want to build your own. I explain which design choices I made, which frameworks and technologies I used and how I program and configured the robot. Here you can find a video of the end result. 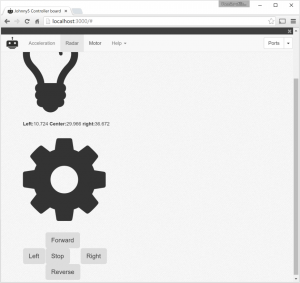 For the design I choosed to remotely control the robot from a server (a laptop or pc). This design overcomes the limited processing & storage of the Arduino board but it comes at the expense of autonomy. My robot will not be able to evolve without be connected by Bluetooth to his server. This is a concession I’ve to make but it provides me quasi infinitely processing power and makes my robot accessible through the internet. 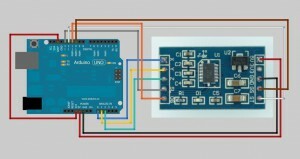 The Arduino board plays the role of central nervous system and the PC is the brain. 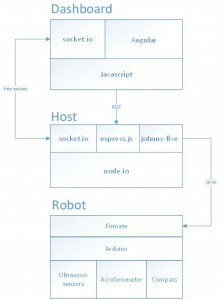 Another advantage that offers this design is that the robot can be controlled from anywhere in the world as it is exposed through http by a node.js application. To enable real time communication in both directions between the server and the robot I’ve used socket.io. 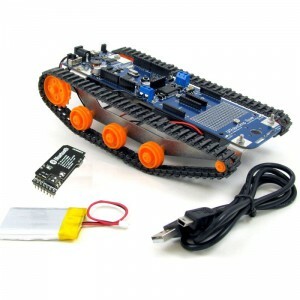 Assemble and configure your robot. To assemble the DFRobotshop RoverV2 you can follow this video. As I’m a Lego fan and that with two little boys in house I’ve a lot of little bricks, I’d no difficulties to find all pieces I needed to build a Lego frame where I could mount the ultrasonic sensors, the accelerometer and the compass on it. Here you can find a picture of the end result. It’s up to you to decide to copy the design or make your own as long as you use the same core components and follow the schematics provided here beneath the code will be compatible with your robot. Because the onboard bluetooth ship is limited to 9600 baud I’hd to patch the firmate protocol. This patched version can be found on the root folder. 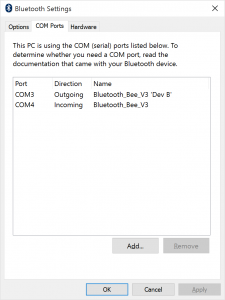 You should go to your Bluetooth settings and associate your Bluetooth with a COM port. On resent versions of windows you should click on the Bluetooth icon, choose “Add Bluetooth devices”. 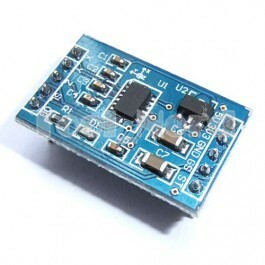 You should see “Bluetooth_Bee_V3” click on it and enter the secret code: 1234. 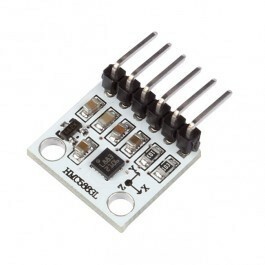 This entry was posted in Arduino on 18th September 2015 . Here I’ll start a series of little post that will build a new application based on the following stack: ASP.NET MVC5, Angular 1.5.x and MongoDB. Every post has his own dedicated branch, so you can just use “git checkout <branchname>” to find all the source code of the post you’re interesting in. To generate a new project we’ll use Yeomen. Open a commend prompt/bash shell or powershell shell on the location you want to put your new project. 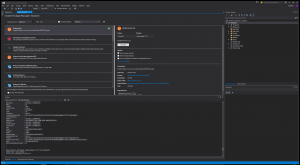 In this post I demonstrate how you can create and update your Azure infrastructure as part of a build in Visual Studio Online (VSO). This enable to deliver and test your code and your infrastructure continuously. Under your VSO project, choose build, and right click your build and choose “edit”, add an Azure Resource Group Deployment. To be able to provision the infrastructure from your VSO build your Resource Group Deployment need to receive the permission to be modify infrastructure in your Azure subscription. Therefore you can use a Service Principal. This msdn article details how you can create a service principal inside your subscription and use it inside your deployment. Watch out: if you’ve several subscriptions, chances are that you run under the wrong subscription, this will result in the following error: “The provided information does not map to an AD object id”. The remaining steps are obvious. Select your Azure Subscription, provide a name to your resource group, select the ARM template inside your VS solution and the parameter file you want to use for this deployment. Now you can include this step inside your continuous integration build or create a specific build for your infrastructure setup that you can trigger at will. Here we want to create our Azure Web App from within visual studio. The goal is to be able to recreate the infrastructure at will and host a web app on it. We do this by including an Azure Resource Group project inside our solution. This bundle the code of our website with the definition of the infrastructure that is needed to host the website. The Azure Resource Group project contains the description of your infrastructure inside an ARM(Azure Resource Manager) template and one or many parameter files. With this project you make sure that your configurations can be consistently repeated, tested, shared and promoted across different environments. This concept is called “infrastructure as code”. First we need to add an Azure Resource Group project to our visual studio solution. If you didn’t have downloaded the Azure SDK, you first need to install it. Choose “Get Microsoft Azure SDK for .Net” from the Cloud category and complete the installation steps. Once the Azure SDK installed, reload your solution, right click on your solution, add, new project and select Cloud, “Azure Resource Group”, provide a name to your project and click OK. Here we’ll setup a simple website. Then we’ll need to fill in the parameters. You can do this via the deploy wizard or directly inside the “Website.param.dev.json” file. The file is located under your ARM project in the folder Templates. Just Copy the name of the region that is appropriate to you. Right click your ARM project and choose Deploy, New Deployment. Once completed you should see the newly created website in the portal. Now you can publish your web app through Visual Studio. Right Click your web project, choose publish and select “Microsoft Azure Web App”. To run Umbraco on Azure you can choose to use the build in Azure template. For simple websites this could do the job but if you want to extend the portal with your own code or if you want to version control your site you’re better of starting with a blank MVC website. Managing the lifecycle of an Umbraco application is somewhat challenging as Umbraco is one platform made out of several components (code/DB/content) and it’s not always clear what you need to deploy to promote content or features. Especially deploying database changes can be cumbersome. I personally chooses to avoid to have to stage DB changes by running all my environments (local/integration/production…) on a single DB hosted on Azure. Because Umbraco already has a notion of staging you can for most cases work safely on the production database from your local machine without fearing to impact production. Nevertheless when I need to make risky changes to my application or when I need to test a major Umbraco upgrade then I setup a clone of my production DB and do the development and testing on the clone. 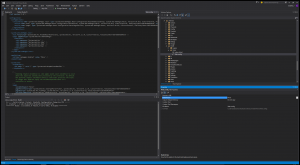 All my changes are made locally through the local umbraco portal (running on my local machine) or for Extensions through Visual Studio. When new content is added to the site I make sure these are included in my local Visual Studio project. I make sure that everything run nice locally. 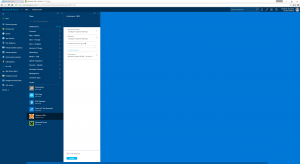 Publish the changes to Azure through the publish wizard. Test that everything runs fine in production. In this part I explain the steps to take to deploy the skeleton of an empty ASP.NET MVC Umbraco website. Create a SQL server DB, don’t forget to note your password! 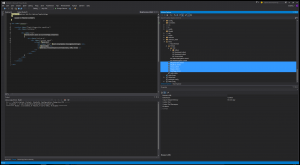 Click RUN in VisualStudio and launch the website locally. Enter you Name, email & password and click Customize. As Database type choose Microsoft SQL Azure. You can find your connection details from the Azure portal (via old portal): select your DB, dashboard, Show Connection strings. Use the ADO.NET connectionstring, copy each relevant part in the textboxes, for the server you need to provide the “server” part but without the leading “tcp”. If you used a template also include the cshtml files under the Views folder. Also set the build actions of the following web.config files to “none”. Now publish the website: right-click your web project, choose publish. Select your Azure Web App, the connectionstring should be retrieved by VS from your project. If you followed everything in the exact order you should see your website running on Azure! 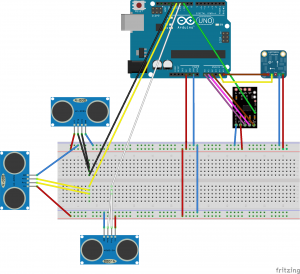 Through this link you can download my course for Arduino beginners. This course is one of the many I use to entertain kids during our coding-dojos sessions. Yesterday it was the first time in Brussels we gave an Arduino session. We got kids going from 10 to 14 years. The session was a success. Despite the fact that none of them had any electronic or c-like programming background most of them managed to build one or several projects and present it to their colleagues. Each project is intended to be built in two steps. First the students can simply follow the schematic and can copy/paste the code they’ll find by following the provided link. Then they need to complete a simple assignment consisting in extending what they build in the first step. To complete the second step they need to make simple changes on the board and in the code. Hints are provided to help them, so no real coding or electronic know-how is required. 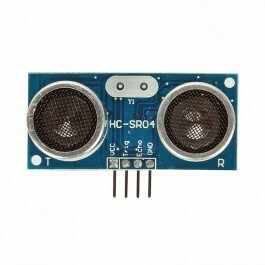 The first project is simply making a led blink, the students should all start with this one. Once the first assignment done they can choose between three different projects: a love-o-meter, music instrument and a lazer-tag. Here is a little coding exercise inspired from one of the codeingame puzzels. It was ported based on the Mars Lander-2 game made by mrswanson. This game is primarily targeted as a coding exercise for kids/students to learn programming. Your mission: reprogram the mars lander. In fact the problems concerns the landing phase for “Mars Lander”, the landing ship which contains the Opportunity rover. Mars Lander is guided by a program, and right now the failure rate for landing on the NASA simulator is unacceptable. Built as a game, the simulator puts Mars Lander on a limited zone of Mars sky. The zone is 138m wide, the center of his position is at position “LanderX”. The ship can get into the zone at a variable location but may not crash on the mountains. Your mission is to write a new artificial intelligence program that will enable Mars Lander to land safely on Mars without crashing. The program will have to go through a series of increasingly complex simulator tests. 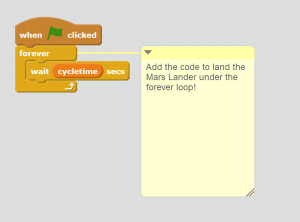 – You should add your code inside the lander forever loop. – To drive the lander you should broadcast “left”, “right” or “up” messages. – vertical speed (=ymotion) must be limited ( ≤ 1 m/s). – horizontal speed (=xmotion) must be limited ( ≤ 1 m/s). Wouldn’t it be great if I ‘had a central place where I could keep and work on all my little nuggets of utility code I’ve written over the years. Also be able to download them from nuget would be very convenient. This is why I’ve decided to setup a new project on Github. There I just posted the first library of my personal Swiss army knife framework. These libraries where primarily designed to build loosely-coupled applications where you can swap out particular components without affecting the rest of the application. Most of my libraries are just small layers above existing frameworks providing a common API that simplify their usage (for me at least). The libraries ease the use of these frameworks by providing standard configurations and exposing only the functionalities I found useful for me through what I saw as a “common API”. GoSimple.Logging is a small and simple library that provides a common interface for logging. It comes together with an implementation for Log4Net: GoSimple.Logging.Log4Net. It provides a simple logging interface (Logger.Debug(..), Logger.info(..), Logger.warn(…), Logger.Error(…),….). I use this nuget package in all my projects to easily integrate with Log4Netwithout having to remember how to configuer & setup Log4Net. The library comes with an appender to send the logs through syslog to a Splunk server. The TcpSyslogAppender you’ll find in the Log4Net implementation was extensively tested and fine-tuned on many large scale applications running in production. Syslog Appender: used to send your logs over TCP or UDP to a syslog server like Splunk, Logstach or Kiwi. Rolling File Appender: when GoSimple rolls a log file, it saves and closes the old file and starts a new file. GoSimple.Logging comes with a sample project, you’ll find it on the github project home. 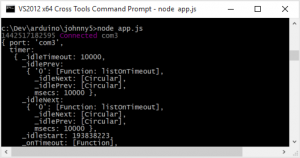 It provides an example of how to configure your application for GoSimple.Logging in just one line of code. You’ll also find a sample Log4Net config file with example config sections for each appender. 1) Review the Log4Net.config file on the application root. Voilà that’s all you need to configure to enable logging in your application. To print out the current Powershell version you can use the $PSVersionTable variable that was introduced since Powershell version 2.